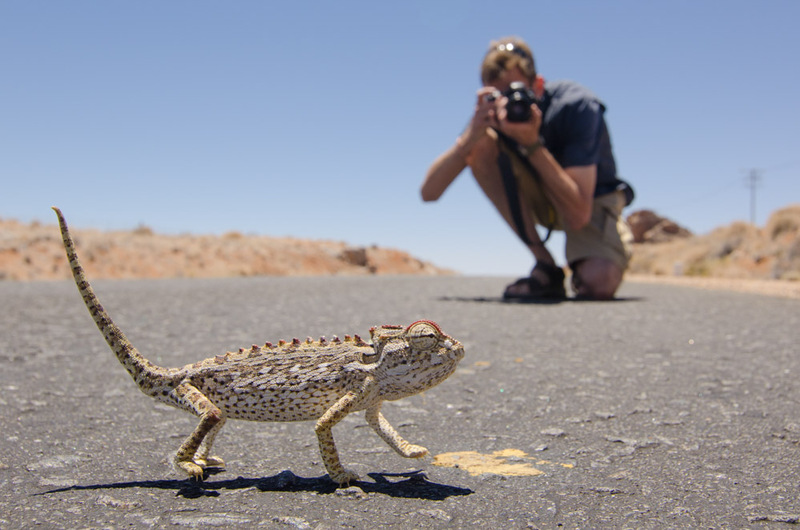 This fantastic tour will take you on a journey through the most picturesque and diverse areas of Namibia. Safari in the world famous Etosha National Park, experience Swakopmund (the adventure capital of the country! ), and marvel at the iconic red sand dunes of Sossusvlei. 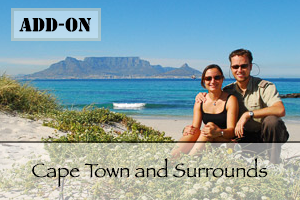 A perfect blend of relaxation, safari, beach and culture! 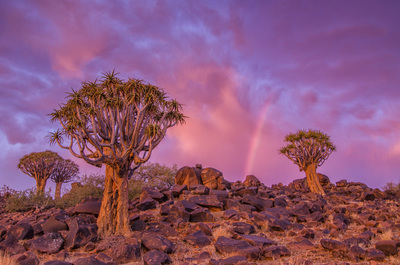 Visit the most beautiful destinations of Namibia in this delightful 21 day tour! 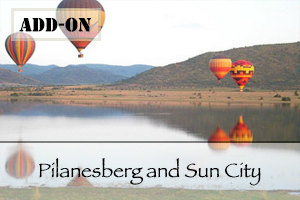 Your holiday begins with in search of the Big-5 with an exciting week of safari in Waterberg and Etosha National Park. Next, you'll move on to admire Namibia's exquisite landscapes and fascinating geology as you travel through Damaraland and the Erongo Mountains to Swakopmund. After 5 days adventure in the city, it's time to visit Sossusvlei and be blown away by the majesty of this setting. 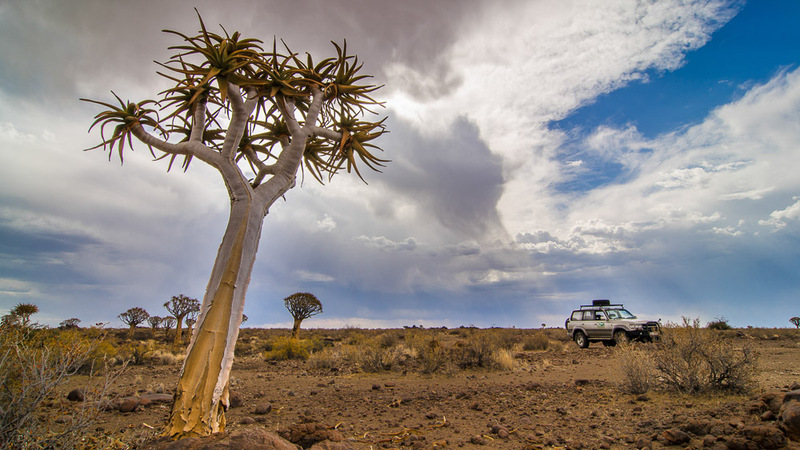 After arriving at Windhoek Airport you will collect your rental car and drive for approximately 3 hours to reach Waterberg Plateau National Park. 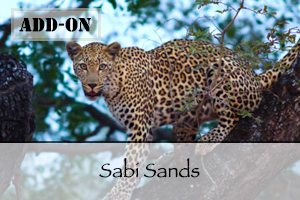 This park is known for its isolated location and difficult terrain, creating the perfect sanctuary for its endangered animal species. Here you will find peace and serenity in abundance, which makes this relaxing environment an ideal first stop on your tour through Namibia! Today you will meet the fastest animal on land, the cheetah! 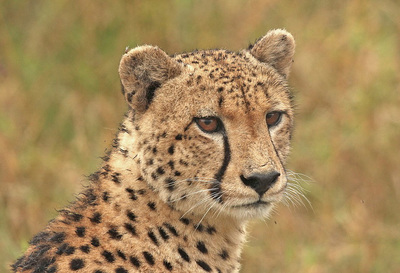 You will visit the nearby Cheetah Centre, an organization that protects cheetahs in the wild and focuses on research and the rehabilitation of this beautiful cat. The rest of the day you have time to relax. 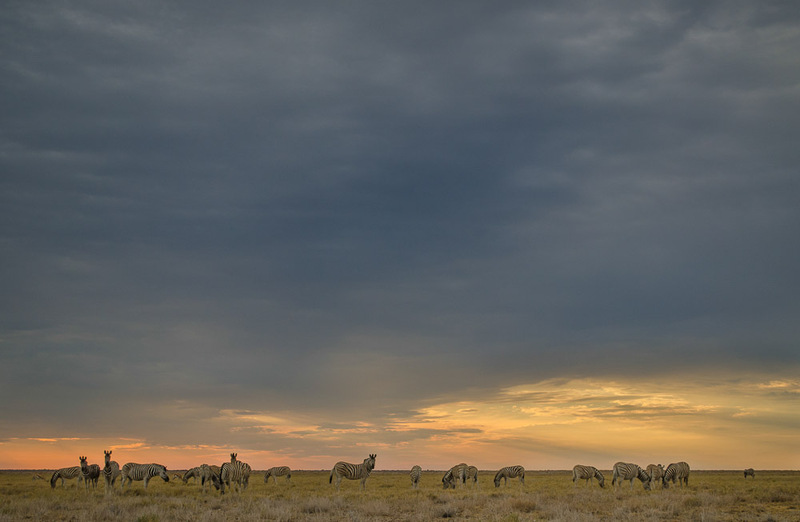 In approximately 3,5 hours you travel further north to the world renowned Etosha National Park, one of the biggest reserves in Africa and the best in Namibia! The enormous saltpan in the middle of the park is a unique feature of this park, attracting thousands of flamingos during the rainy season. The next two nights you stay at Namutoni Camp, an old fort. 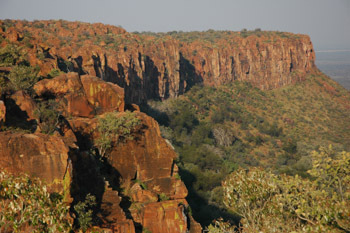 From the walls of this fort you can enjoy the magnificent view of the waterhole. 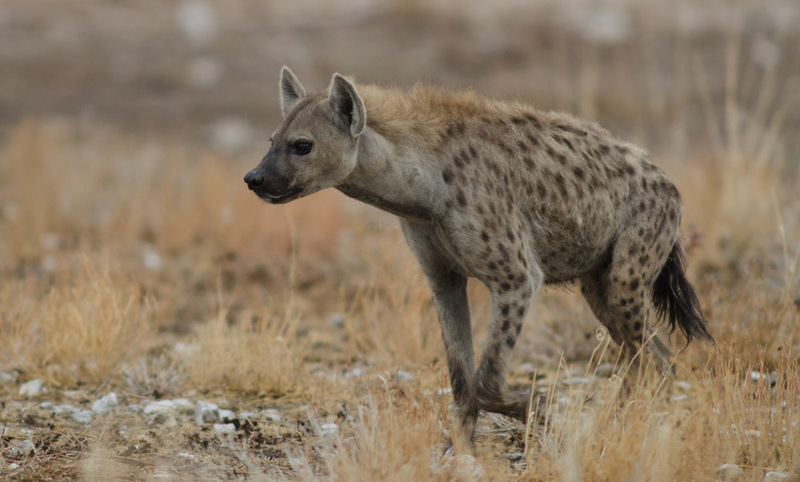 In the late afternoon you go on your first game drive in Etosha National Park looking for wild animals. 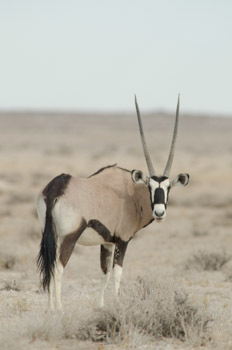 Maybe you will see one of the huge herds of springbok or zebra! 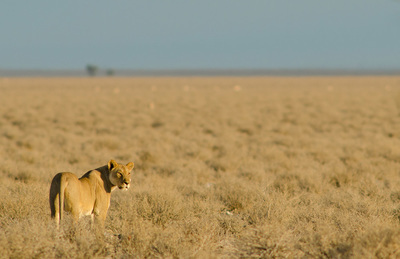 Etosha National Park is famous for its amazing wildlife sightings. 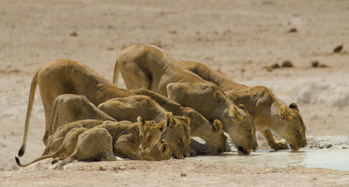 There are numerous waterholes in the park, which are the perfect places to go to in the early morning when predators most often come to drink. 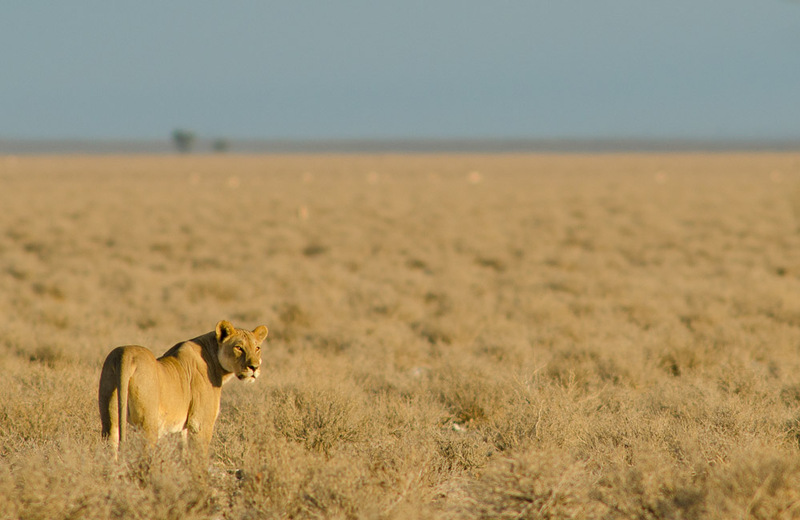 During the warmest time of the day most animals disappear into the shade, so it is a good time to relax at the camp. 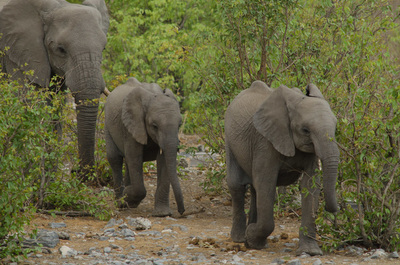 In the late afternoon you have time to go on another exciting game drive. 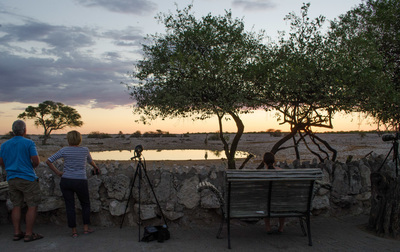 Today you travel to the next destination in Etosha National Park, Okaukuejo Rest Camp. 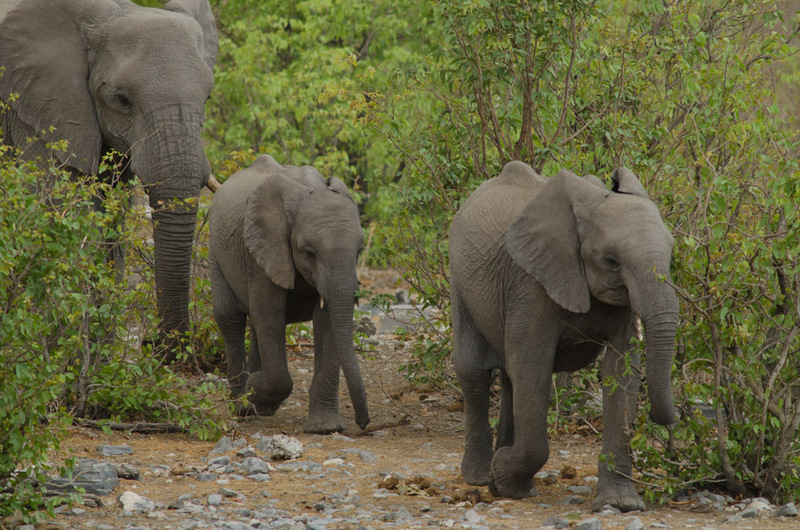 It may take you all day, because you'll be game viewing during the journey! Half way along the drive, you'll find Halali Camp - perfect for a lunch stop. 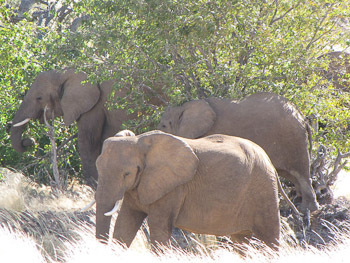 After your arrival at Okaukuejo Camp you cannot miss going to the waterhole. It is floodlit overnight so you can spend as much time as you’d like observing the wildlife, with guaranteed success! Very often the black rhino pays a visit, so you have a good chance to see this rare animal. Make the most of your last full day in Etosha National Park! 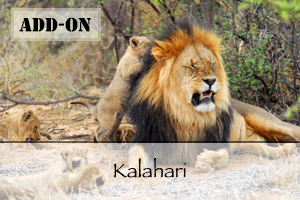 Search for any members of the Big-5 you haven’t seen yet on an early morning or late afternoon game drive. In the heat of the day, you can always head back to your comfortable chalet and relax! 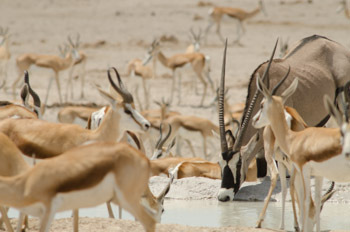 Before leaving Etosha National Park you might want to visit the waterhole one last time. 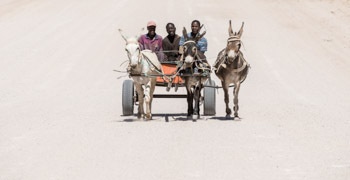 After that, it's time to make the 4,5 hour journey to Twyfelfontein in Damaraland. 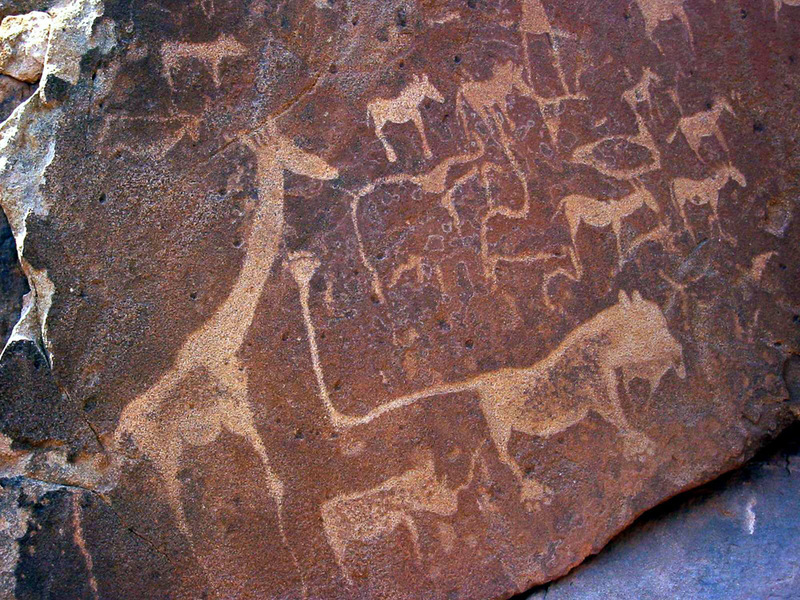 Twyfelfontein, Namibia’s first UNESCO World Heritage Site, is a wonderful place to see a large collection of ancient rock art and engravings. After several days of exciting safari, it's time to relax today! Looking for something different? 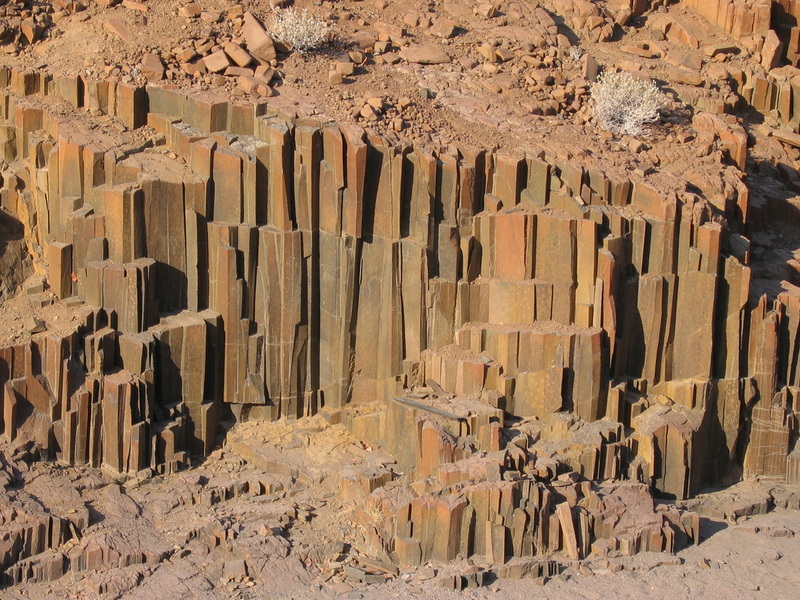 Some fabulous rock formations and rock paintings can be found in the vicinity of the lodge - discover Burnt Mountain, the spectacular Organ Pipes, Doros Crater and the Petrified Forest. 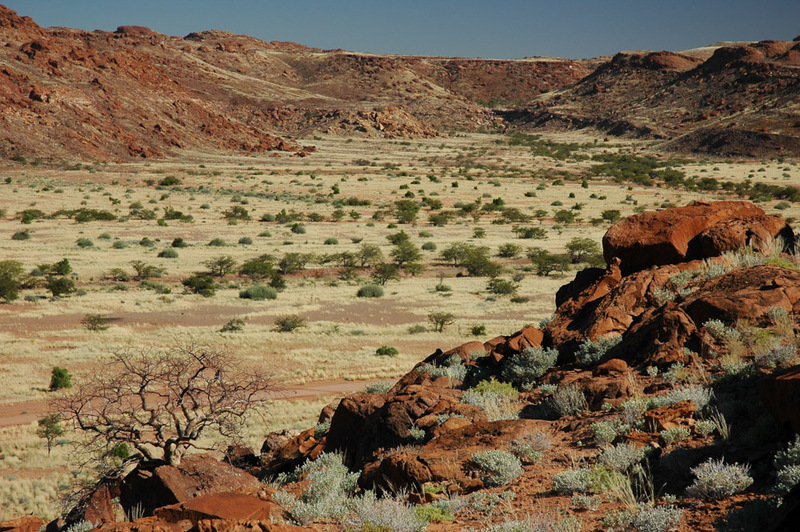 Enjoy a game drive in the beautiful, semi-desert of Damaraland in search of the special desert elephant. 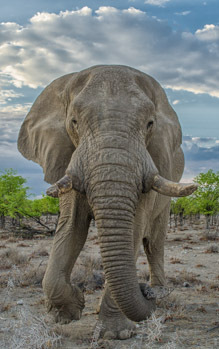 The desert elephant has fully adapted to its harsh environment and can go for days without water. Due to the lack of water and green leaves in this region, the elephants here also have longer legs to help them to cross miles of sand dunes as they search for this precious resource. Today you will move on to a different environment, the Erongo Mountains! The drive takes about 4 hours. The Erongo Mountains formed as a result of a huge volcano eruption more than 100 million years ago. 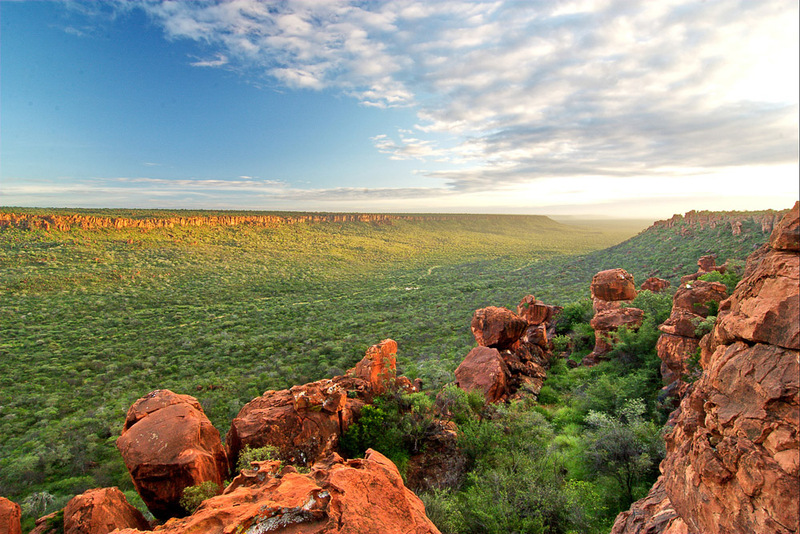 On the east side of the area you find bushlands while the western side consists of desert. 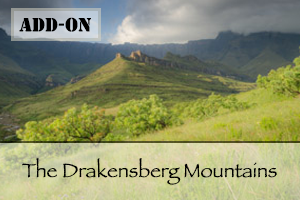 It is a beautiful place to go for a hike or to sit back and enjoy the views from the lodge. 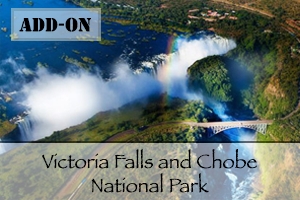 Enjoy a hike to discover the area or, if you're not keen on walking, take a scenic drive instead. Don't forget to take a packed lunch with you so you can spend the whole day exploring this beautiful enivironment. Or, of course, you can also relax at the pool at your lodge. 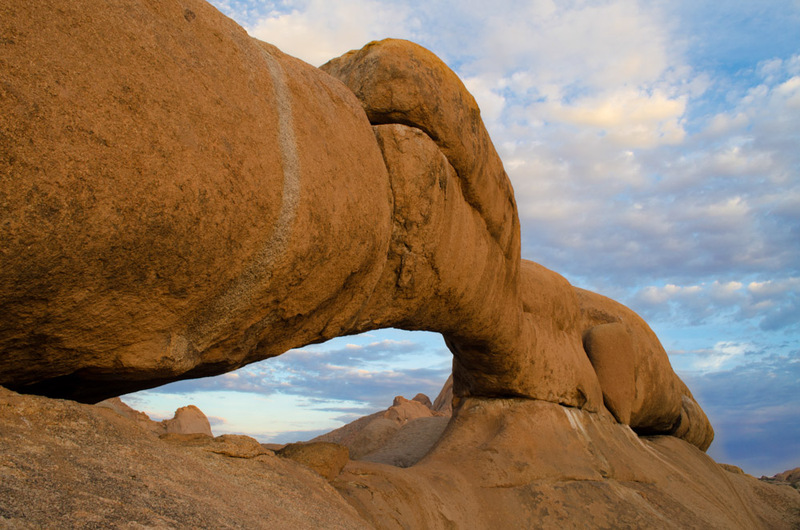 On your way to Swakopmund be sure to stop at Spitzkoppe, where a group of bald granite peaks stand out dramatically from the flat surrounding plains. 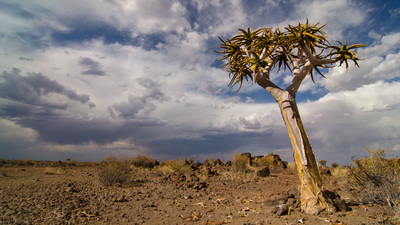 After a short visit you will continue the 1,5 hour drive to Swakopmund. Due to the colonial German history, this city has a very German feel to it and much of the architecture reflects these roots. 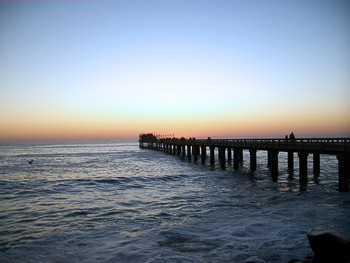 Surrounded by desert and ocean, Swakopmund is known as the adventure capital of Namibia because of the wide range of activities available from here. 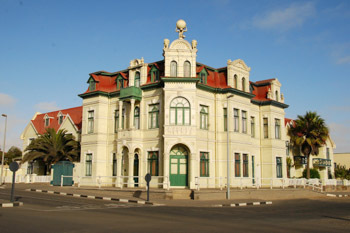 Today you are going on a guided tour in Swakopmund to learn more about the city. The passionate and knowledgeable guide will provide you with lots of information about the interesting, colonial architecture in the city. 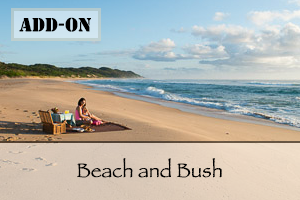 You will also visit the luxury beach houses, and in contrast, learn more about life for the people living in the townships. 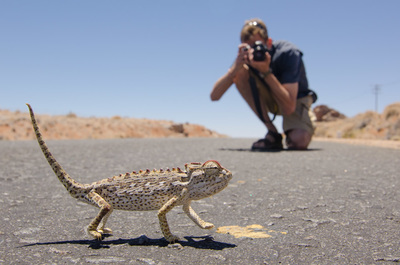 Join an adventure to the Namib desert today! 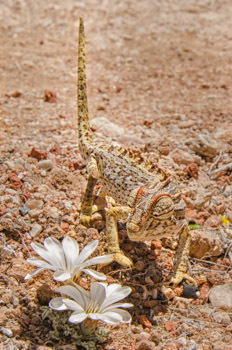 For half a day, together with your guide, you will focus your search on the small creatures that inhabit this harsh environment, looking for tracks in the sand. 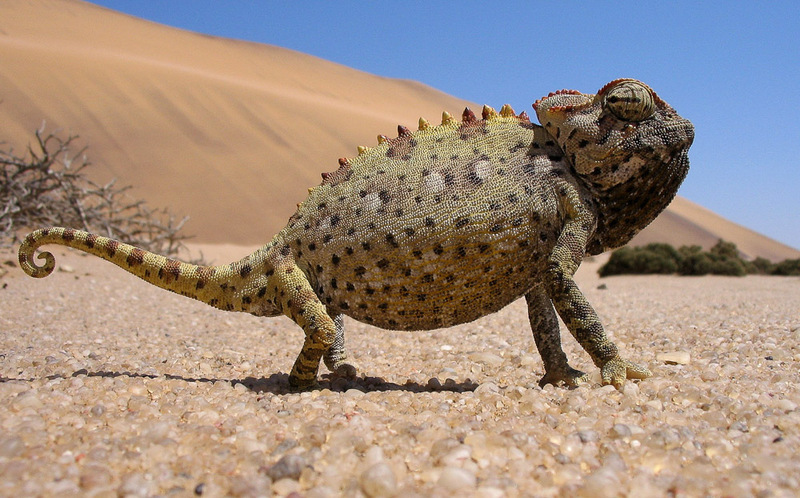 You might see scorpions, chameleons or sand diving lizards! 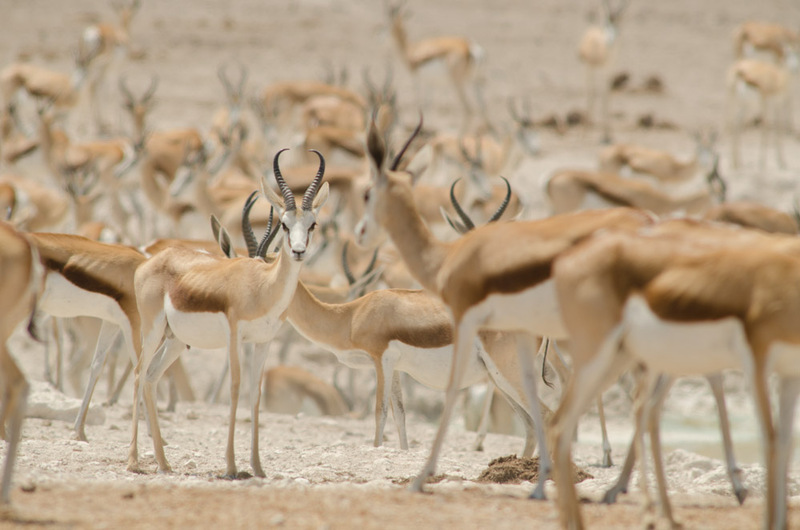 Today you have ample time to relax at your accommodation, or go for a walk and explore the shops in Swakopmund. Would you rather do another activity? No problem, there is more than enough to do here! How about skydiving, kayaking or quad biking in the desert? 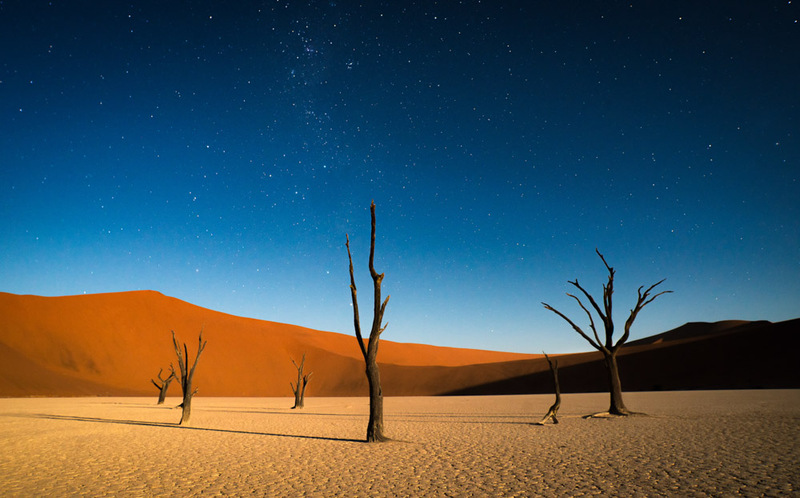 Moving on to your final destination, Sossusvlei in the Namib-Naukluft National Park. 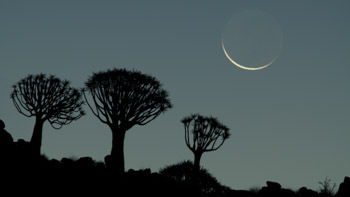 The drive will take roughly 4,5 hours from Swakopmund. 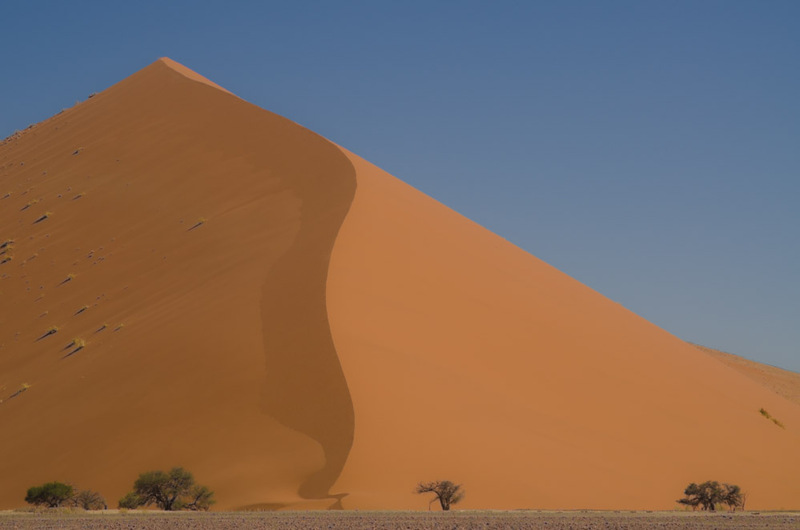 The name Sossusvlei is derived from the Nama word 'sossus' meaning 'dead end', and the Afrikaans word 'vlei' meaning 'marsh'; the word Sossusvlei literally refers to the salt and clay pan where the Tsauchab river ends. After arrival you can relax at your comfortable lodge, and later in the day enjoy a drink as you watch the sun go down. 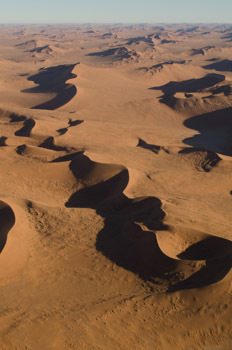 Early in the morning you will depart on a guided tour of Sossusvlei. 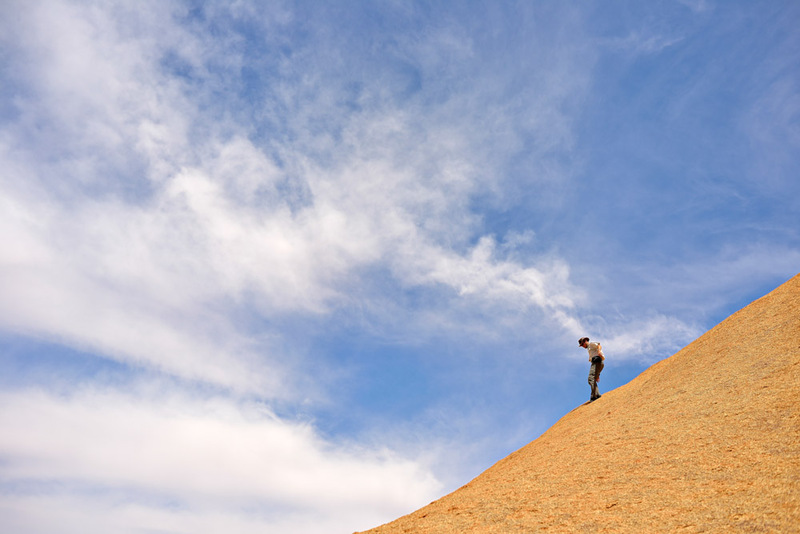 The first stop is Dune 45, and the views from the top will definitely reward your efforts climbing up! You'll also visit Deadvlei, a white clay pan surrounded by red dunes which is characterised by the dead acacia trees, This surreal place is amongst the most photographed locations in Africa, and for good reason! It's worth revisiting the area for in the afternoon as the colours in this area are incredible at sunset. Guided quad bike tours can be booked directly from the lodge. 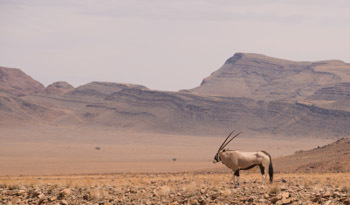 Sadly, it's time to leave Sossusvlei behind and return to Windhoek. The journey is fairly long but you can expect to arrive in the city by the afternoon. Your comfortable lodge is the perfect place to relax and unwind after the drive. Depending on your flight time, you may have time this morning to visit a local craft market and buy some last souvenirs for friends and family back home. Your rental car will be returned at the airport. For more information about car rentals, click here. 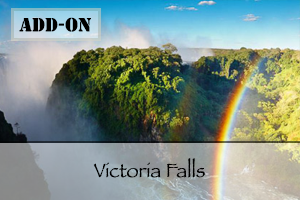 Includes: Car hire, self-drive pack including GPS navigation device, all accommodation, all meals and guided activities as mentioned as included in the quote above/table below, 14% Value Added Tax (VAT). 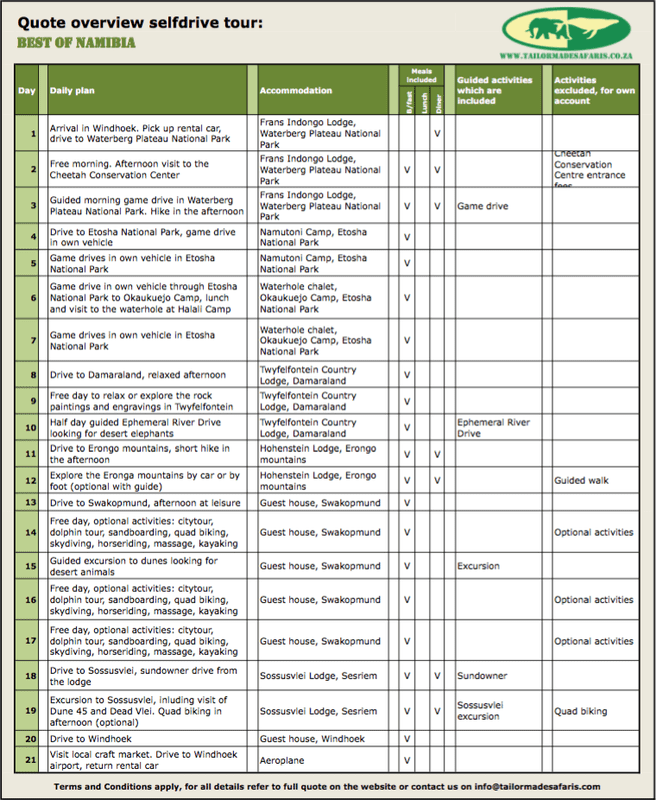 Excludes: Airfares, travel and cancellation insurances, fuel, road tolls, parking fees, entry fees, meals & activities mentioned under excluded in the table below, snacks and drinks, gratuities for guides and local restaurants. These costs cannot be paid by us and therefore will be charged on your credit card by Europcar. Europcar also requires a refundable rental deposit of N$ 5904. 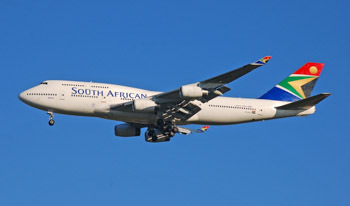 This sum will be taken off your credit card at the beginning of your trip and if all is well it will be deposited back into your account at the end. For renting a vehicle the driver must be at least 23 years old have had a valid unendorsed drivers licence for over 2 years, which must be valid for at least a year at the start of the rental period. The driver must also be in possession of a valid passport and credit card. Please note that without a credit card, you cannot rent a car!